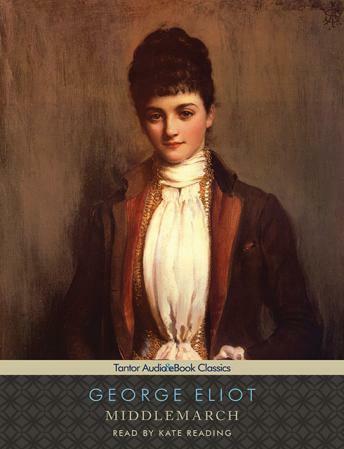 Middlemarch is a recognized masterpiece that explores the complex social world of nineteenth-century England. It is concerned with the lives of several ordinary people, albeit ones with high social standing. The novel is set in the small town of Middlemarch and follows the interrelated lives of several characters. At the heart of the book is Dorothea, a kind-hearted and honest woman who longs to find some way to improve the world. She marries an older academic, Casaubon, against the advice of her friends and family. Casaubon tries to assert his influence over Dorthea, but she refuses to succumb to his will. Casaubon soon dies of a heart attack, and Dorothea marries his cousin, Will. But, in a final attempt to control Dorothea's life, Casaubon's will states that if Dorothea marries Will, she will lose her claim to Casaubon's estate. Meanwhile, the young doctor, Lydgate, comes to Middlemarch to start his own practice. He soon falls in love with Rosamund, a woman who has spent her life in Middlemarch, and they eventually marry. Fred Vincey, used to a lavish lifestyle but also a gambler, falls into debt as he waits to inherit money from a rich neighbor. He drifts toward the clergy and longs to marry Mary Garth. But until he proves himself worthy, Mary will have nothing to do with him. Through these various characters and their relationships, the novel explores the very fabric of Victorian society in the 1800s, showing how various human passions-heroism, egotism, love, and lust-interrelate within this society. I tried and tried but I just could not get into this book which is unusual for me. I have never been so sorry for a book to end. I loved the characters, I loved the settings, I loved the plotlines, and most of all, I loved how subtly and elegantly Eliot handles all of them. When I first started listening to this book, I was apprehensive. I had tried to listen to some "Classics" that I had not read before and generally found them to be intolerable because of the ingrained prejudice. or because of the irritating and pompous narration. However, Middlemarch was a very interesting story. It gives an insight into a social structure long past (fortunately). Although I found that I didn't particularly like any of the characters in the story, it was still interesting to learn about the social mores of the times.